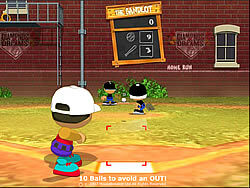 This is another great baseball game Backyard Sports: Sandlot Sluggers. When the weather's bad outside, there's a realistic summer sandlot waiting for you right here. Start by choosing your favourite team to play with and then one of the four available players. First you will have the rank of a junior rookie but once you have completed a couple of missions and earned some points your rank will increase. For your first task you need to hit a homerun and you get ten balls to make that happen. Later on the game the tasks will become more difficult but it will also earn you more points. 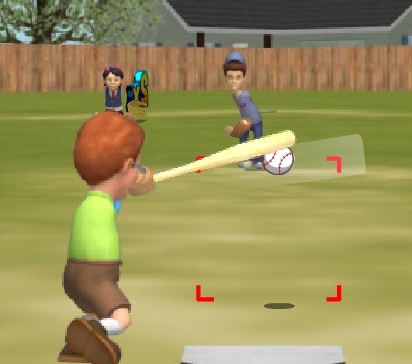 How to play Backyard Sports: Sandlot Sluggers: Use your mouse to position yourself and swing to complete these minigames. 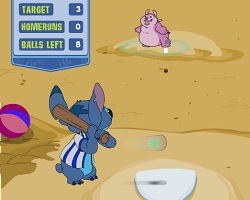 How to play Backyard Sports: Sandlot Sluggers: Use your mouse to position yourself and swing to complete these minigames. 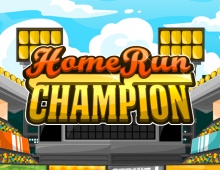 A fun homerun smashing baseball game, aim your swing right and score some home runs. Be the best and try to win this baseball game. Use the mouse for controls. In this fun baseball game Tom is playing against Ryan. Both are famous for their notorious acts in the street. They just need to do one thing, Target shots on to the people in the houses! Grab a baseball bat and start killing the monsters baseball style. This baseball game has 5 stages, 5 unique enemies, RPG elements, bonus system, normal and survival mods.